Photo: Howitzer Monument (Park Ave. and Harrison St., Richmond, Va. 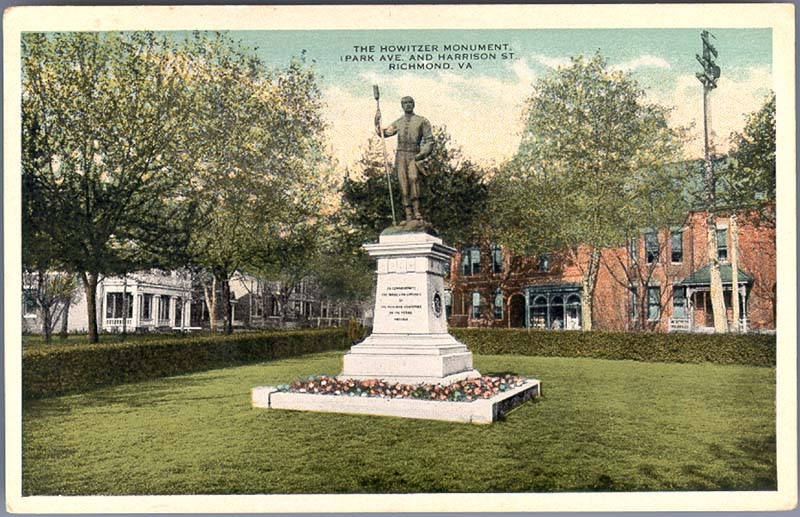 Photographer: Southern Bargain House, Richmond, Va.
Caption: Howitzer Monument (Park Ave. and Harrison St., Richmond, Va. Submitted: May 10, 2012, by Bernard Fisher of Mechanicsville, Virginia.